On May 4, 2018, the “Campus Connections Summit 2018” seminar was held at the Department of Computer Science in Pesche. The theme addressed was “Cloud Computing and IT Law”. The seminar aimed to better understand the importance of cloud computing and tech laws and how they interact. The speakers included Gianluigi Guida, Microsoft experts from the Technical Division, and a representative of Codemotion. 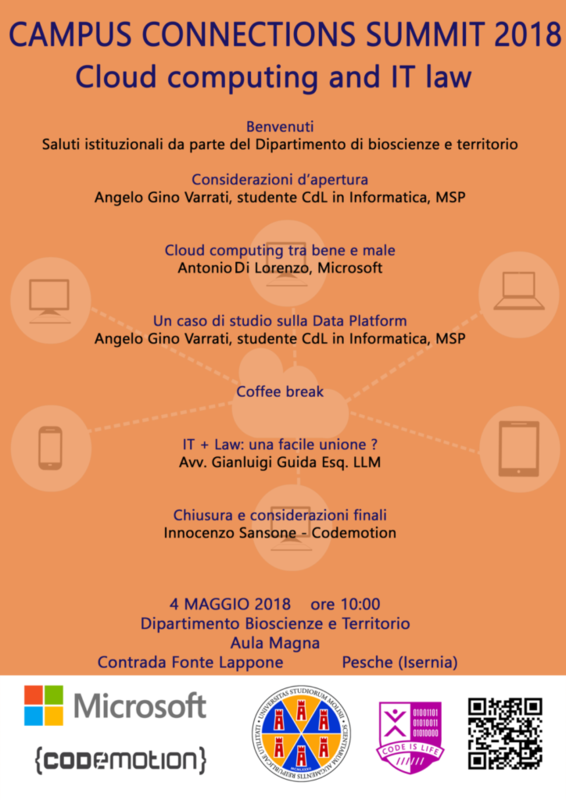 Gianluigi Guida held a speech entitled “IT + Law: An Easy Mix?”, which showed the relationship between the digital world and the laws.